There is nothing that compares to Colorado in the summer. The warm, sunny days are the perfect excuse to step outside and soak up the scenery, while cooler temperate nights are the ideal backdrop for backyard cookouts or evening cocktails. As summer approaches, you may be considering some updates to your existing outdoor spaces. This could mean anything from redecoration, to complete reconstruction. The first thing to consider before an outdoor space renewal is what kind of life you want the space to have. It’s important to envision your ideal experience: Will you be sunbathing, or do you prefer the shade? Is this a space for entertaining, or is it more of a private retreat? How do you want this space to interact with your indoor spaces? 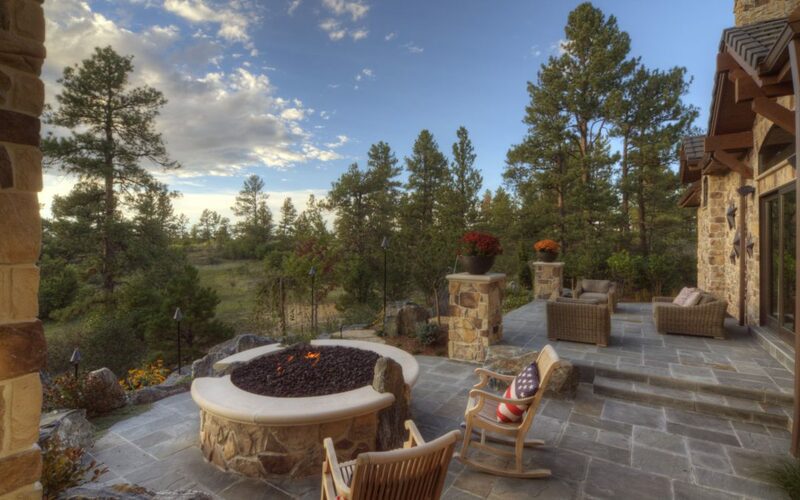 If you’re looking for a little outdoor space inspiration, read on for Timber Ridge Properties’ favorite ways to spruce up patios, backyards, and outdoor entertainment spaces for our unbeatable Colorado summers. 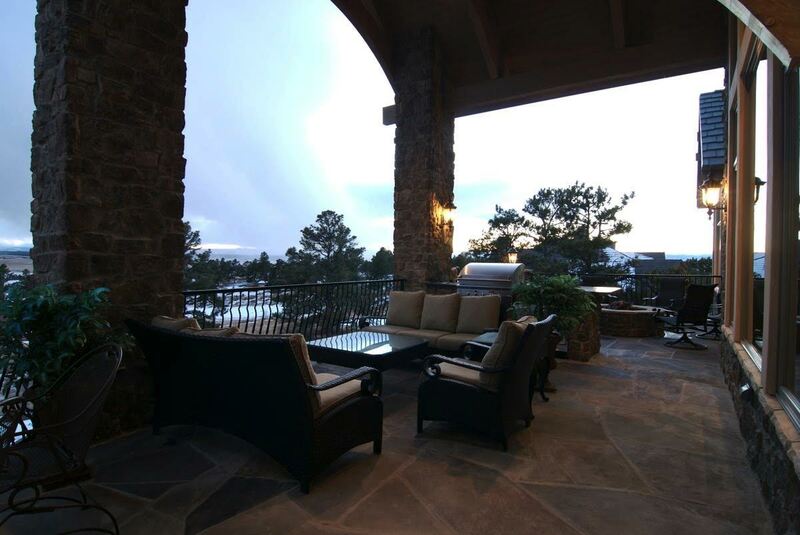 For many Colorado residents, your outdoor patio is the focal point of your outdoor space. The patio is where friends and family congregate to take in the spectacular views, fire up the BBQ, and soak up the sun. It’s functionality is essential to the way you spend your summer days, and keeping it comfortable is the key to enjoying it to it’s fullest potential. For example, if you prefer a shaded deck to a sun drenched one, the addition of a sunshade or awning may be important in your planning. Additionally, if you find yourself in the process of constructing a home, you may consider the positioning of the patio in relation to the sun. Your selection of furnishings also contribute to the comfort of your space. If lounging is your activity of choice, outdoor furniture featuring durable fabrics should be considered. If your space is an intended dining area, iron or wicker dining furniture may be on your wish list. No matter what you intend to use your patio for, the end goal should be livability—creating an area that best suits you, your family and your lifestyle. 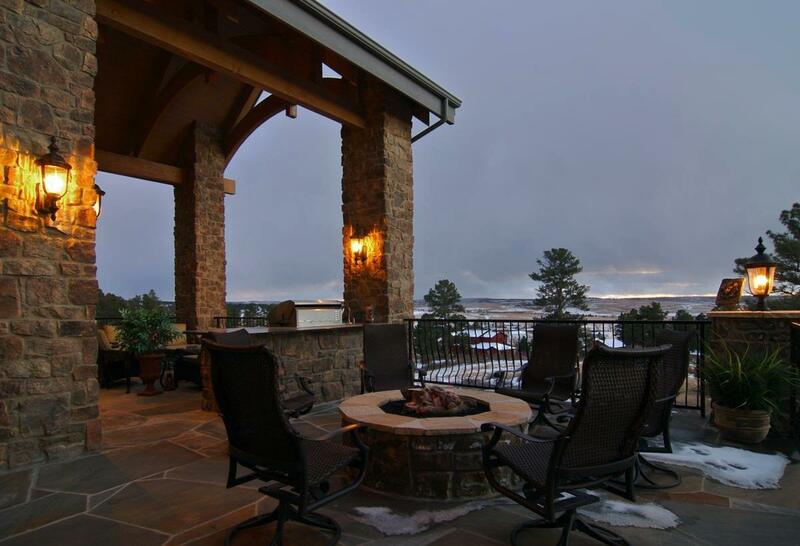 An outdoor fireplace is the perfect addition to any outdoor space, and adds a touch of cozy all year round. Aside from being aesthetically pleasing and an excellent focal point for your outdoor space, an outdoor fireplace is also versatile in its functionalities. Imagine your family sitting around the fireplace roasting marshmallows and exchanging stories in the summer, or cozying up with cocoa during the cooler fall and winter months. Family time aside, a fireplace also creates the perfect romantic ambiance and ideal lighting for intimate outdoor meals or cocktails. Cooking outside is not only a practicality, but an excellent means of entertaining your guests and enjoying the beautiful weather. It’s important to have high-quality, durable outdoor appliances that will keep your family fed and happy for many seasons to come. We recommend Sub-Zero and Wolf grills, an ideal addition to any at-home chef’s outdoor oasis. A grilling area that is well-integrated into your patio’s design is not only safe and effective, but becomes a significant asset to the overall aesthetic of the space. Sub-Zero and Wolf products are sleek, polished, and are guaranteed to stand both the test of time and Colorado’s harshest weather. 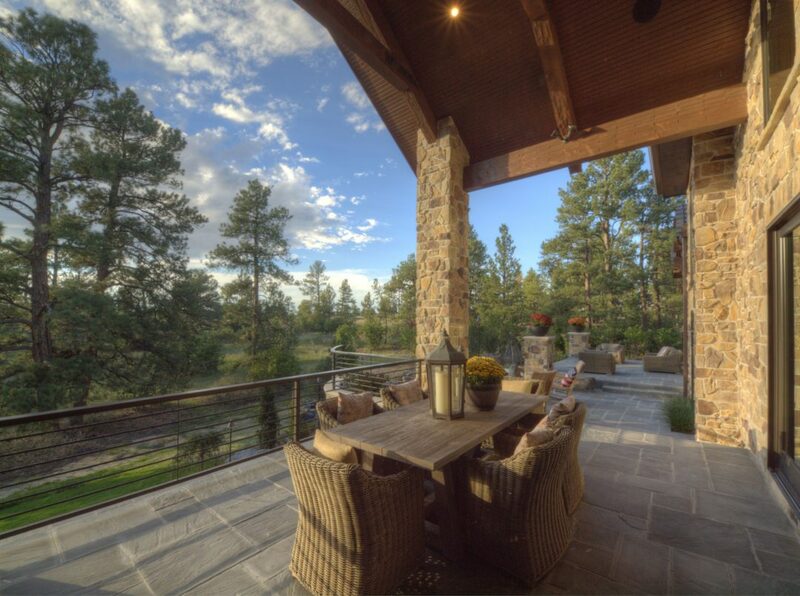 The patio pictured below was featured on Impressive Interior Design’s website as an example of a luxurious though functional outdoor living space. 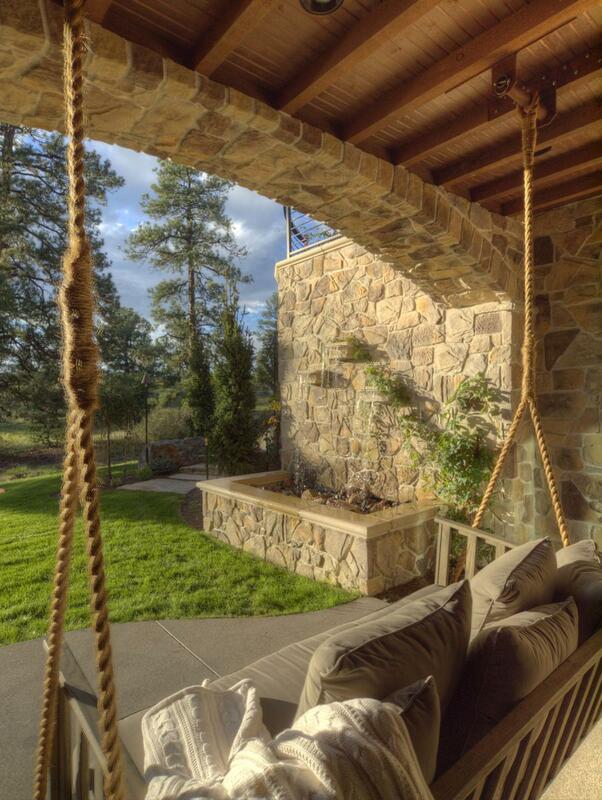 Your outdoor spaces are an extension of your home, it’s decor and design, and your personal style. Creating a seamless transition between indoors and outdoors is a great way to open up your home’s interior and introduce new light and space. Syncing up styles between the patio and your home’s interior is a nice way to showcase the recurring design themes present in your home. The result is a beautifully visual representation of your taste, and your family’s lifestyle. 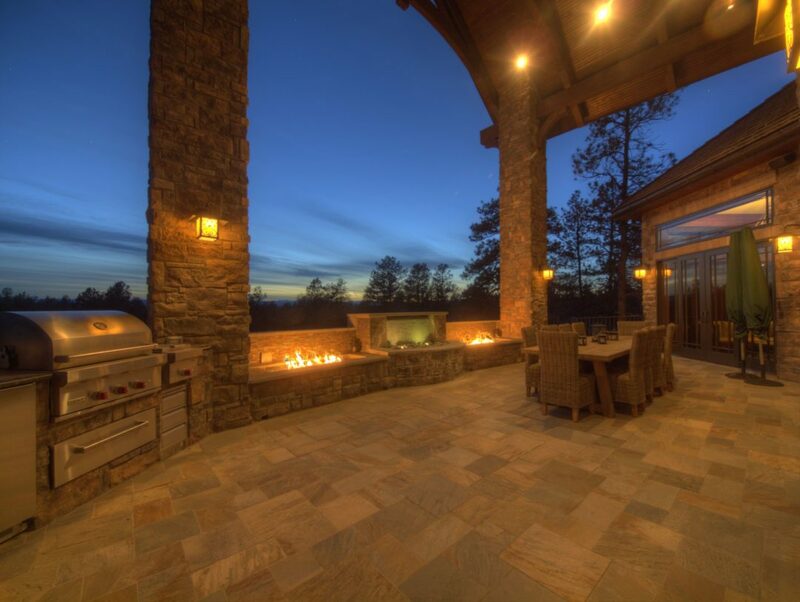 If you’re interested in learning more about customized patio build, remodel, or redesign, connect with Timber Ridge Properties and take the first step toward your dream space, today.